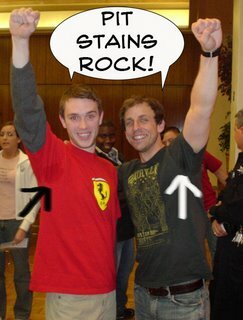 is that seth myers? wtf mate? All part of my very smart policy of living life to the fullest while staying within one square mile. "Now, to me, that seems like the kind of advice a bear might give." you know he can only grow chest hair on one side of his chest...freaky. Wait a sec...I think he was in a cosmo article a couple of weeks ago. I remember that chest hair!